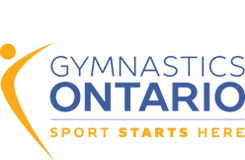 Home › Front Page Slider › LIVE STREAM WOMEN’S & MEN’S ARTISTIC ONTARIO CHAMPIONSHIPS HERE! Watch the live stream of Women’s and Men’s Ontario Championships April 7th-10th, 2016 here! With three gymnasiums of athletes competing simultaneously, we’ll be covering three apparatus in each gym on five concurrent streams. To watch, simply click on the YouTube video below screening the age/level category you’d like to view. Please note, in order to maximize event coverage, streams may house up to three apparatus at once. Links will also be posted directly on our Facebook Page! ‹ Are You Going to Coaching Congress 2016?